First there was the outdoor lounge room. Then came the outdoor kitchen. Now many homeowners are opting to create the latest outdoor fad de jur… the outdoor bathroom. Whether you’re looking for a loo with a view, a shower to take in the scenery or a bath to sink into under the starry sky, here Blue Haven Pools looks at the latest and greatest in outdoor bathrooms and showers. A practical edition to an outdoor living area, particularly those with a pool, an outdoor shower allows you to rinse off before or after a swim without creating wet footprints throughout the house. You can also use it as a place to rinse down after being in the garden or at the beach eliminating the need to tip toe through house in case you make a mess. It also allows you to fully immerse yourself in nature with the ability to shower under the stars or blaring hot sun! Installation is easy – many hardware stores sell outdoor showers that can be connected to an outdoor garden tap. Alternatively, you can have an outdoor shower installed using existing plumbing. Opt for a shower floor that can withstand prolonged periods of dampness, including natural stone pavers or treated timber. Your shower should be located in a position that is accessible from the pool, yet private enough if you truly want to enjoy the benefits and be one with nature! While this may not be everyone’s cup of tea, an outdoor bathtub can create a whole new level of relaxation to your outdoor living area. Outdoor baths can be made from a number of materials, but keep in mind it should be protected from the elements. 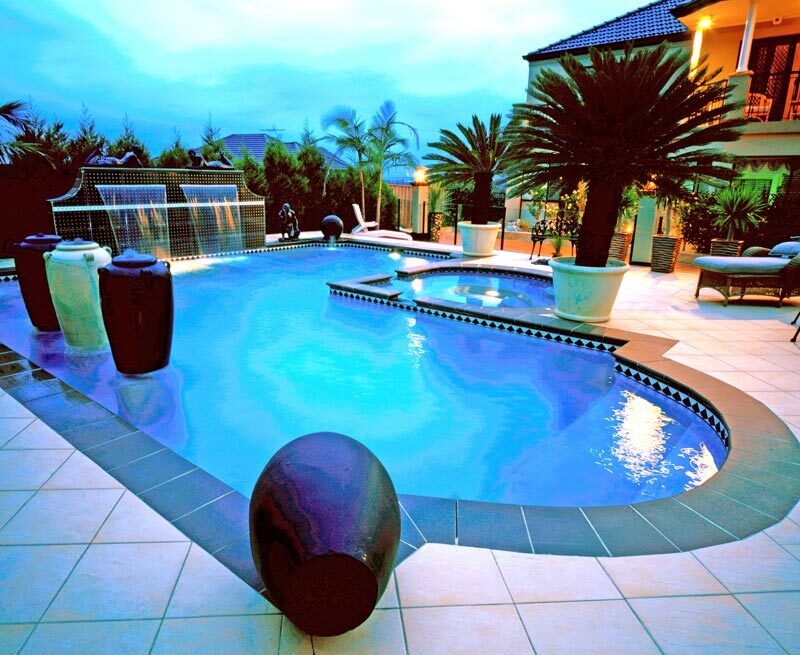 Just think, while the kids splash about it the pool, you could be sinking into the bath and blissing out under the sun. Screens either made from lattice or hedging are the perfect accompaniment to your outdoor bath or shower. Without it you won’t truly enjoy the benefits of outdoor bathing. With the right design and screening considerations you can enjoy your outdoor bathroom in comfort.